The Meizu MX 4-core is virtually the same as the original dual-core Meizu MX, if you don't count the two extra cores. The Meizu MX 4-core has a 4" screen, which given its 3:2 aspect ratio is noticeably bigger than the 16:10 and 16:9 four-inch competitors. However the new quad-core top droids comes with 4.7" to 4.8" screens, which dwarf the Meizu MX 4-core display.The ASV LCD unit has 640 x 960 pixel resolution, which is the same as the Retina display of the iPhone 4 and 4S. That may've been impressive last year, but the competition has taken a huge step forward since. 720p is now the norm, so no one is going to be too excited about 288ppi (even though it's really as sharp-looking as it gets). Normally the contrast is decent, but it drops rapidly as you start tilting the screen. Colors are good, but hardly as spectacular as those on the Super AMOLEDs and the best LCDs.Brightness and contrast are slightly better than they were on the original MX, but differences aren't huge. The Meuzi MX 4-core runs on a heavily modified ICS-based Flyme OS 1.0, with a 1.0.1 update available for download. This is not your average Android skin, customizations run way deeper than usual. The Flyme is very different from what seasoned Android users might expect (though not unfamiliar if you've seen the original Meizu MX). Once again, Meizu's goal was clearly to emulate the iPhone experience and we should say they did a pretty good job of it - way better actually than they handled the hardware design. the Flyme OS is very simple Android with a flat interface and no app drawer. You can put folders and widgets on the homescreen but shortcuts are an alien concept to the UI - essentially, each app you install appears on the homescreen. This is the ultimate simplicity - there's no app drawer to drag icons from onto the homescreen.On the other hand, Meizu's Flyme OS has most of the important functionality covered: it's got a fairly elaborate lockscreen, pretty good task manager and Notifications, as well as a number of nice little touches that you'll be happy to discover as you explore the interface. The lockscreen is the slide up to unlock type, but borrows the idea of launching different things depending on where you swipe. If you start the gesture over the padlock icon you will just unlock the phone, but you also have Phone and Message icons for the dialer/inbox too. Sadly, these two shortcuts are non-customizable. There are no lockscreen widgets other than the default clock panel and the music controls (only when the music player is active). We liked a lot even a really minor thing like the battery charging animation.Beyond the lockscreen is a fairly standard Android homescreen and you can dock up to five apps at the bottom, the middle one - the web browser - is non-customizable. There's no app drawer though and all installed applications have their icon on the homescreen instead. You can get the shortcuts of rarely used apps out of the way by putting them in folders - each folder can store up to 16 apps. The usual gesture for removing icons (dragging them to the bottom of the screen) uninstalls the app. The homescreen doubles as the app drawerYou only get three homescreen panes at first (there's an indicator of the currently active one), but as they start to fill up, you can grab an app icon or a widget and drag them to the side and a new homescreen will appear. There's no overview mode where you can easily add, delete or rearrange homescreen panes.We mentioned widgets - the Meizu MX came with very few preinstalled and you can access them only via Settings->Customize->Widgets. You get Google search, Quick Contacts, Notes, a calendar and the News & weather widget. That's it, there's not even a clock widget. If you want more, you'll have to get third party widgets off the market. Unlike the original Meizu MX, the widgets can be used more than once - you can have the Google search bar on all homescreen panes for example. You can set the homescreen wallpaper as usual and there are quite a few provided. Live wallpapers are enabled too.The notification area has been updated with five connectivity toggles (Wi-Fi, mobile data, Bluetooth, GPS, Sync). If you tap on the Wi-Fi network name you'll get a list with all available networks in range and you can quickly switch on to another router without digging in the Settings menu. At the bottom of the drop down list you'll can also set the type of mobile network you prefer (auto, 3G or GSM).There are a few more toggles available from the menu that pops up when you press and hold the Power/Lock key - they switch on and off the ringer, the vibration, airplane mode, GSM network and screen auto-rotation. The task switcher (hold the menu key) has been completely rewritten since the Gingerbread-based Flyme OS. The new task switcher is different from what you're used to in Android and a quite similar to its iOS counterpart. It's launched by a press and hold of the Menu button.When activated, the task switcher appears at the bottom of the screen. It's a side-scrollable row of icons, showing the recently opened apps. You can kill apps by tapping and holding on an icon and then dragging it over the X at the very bottom. There is a shortcut too to kill all running apps.Just like in iOS you get music controls here too. They are always visible below the rows of running apps, though this time around there is no volume slider. There's one more trick to the interface - when you're scrolling long lists, you can tap the top right corner of the display (near the battery icon on the status bar) and the list will automatically scroll back to the top. It's something that most people might miss, but can come in handy when dealing with long lists.That's about it for the general user interface. We just want to note that the screen transitions have been changed since the previous Flyme OS version. In the original Meizu MX they were lifted directly from the iOS, while this time around they're more like the vanilla Android ICS.We're quite pleased with the overall speed and responsiveness of the UI, we experienced no misbehavior or glitches. Everything runs smoothly, and that's hardly a surprise given the quad-core processor powering the whole thing and the optimizations coming with ICS. The pretty basic phonebook on the Meizu MX 4-core is almost identical with what we saw in the dual-core Meizu MX. At its core is a list of all contacts but you can view only a specific group or filter where contracts come from - phone contacts, email account or a Meizu account.You can't add Facebook or Twitter or any social network out of the box. Installing the Facebook or Twitter app will allow you to sync your contacts from there. You can link contacts, but the functionality is annoyingly limited. The phonebook integrates with the phone app and the call log.The only new addition to the phonebook is the search field at the top of the contact list in addition to the alphabetical scroll. Just like the dual-core MX, the Meizu MX 4-core had no reception issues and the in-call audio was good, though not very loud even at the loudest setting.The dialer of the Meizu MX 4-core lacks smart dialing but it does have one interesting trick - dial a number and it will tell you the country (e.g. "United States" for a number starting with +1, "United Kingdom" for +44 and so on). Another interesting trick is the built-in blacklist, which allows you to prevent phone numbers not on your contact list from phoning you and filter calls from selected numbers. There's also an option for automatic recording of your calls, which is a pretty cool feature to have if you are absent minded.During a call, the proximity sensor will lock the screen when you lift the phone up to your face. There's an option for the phone to vibrate when the call is connected, so you won't miss it.The call log is the first tab of the telephony app and it keeps a list of all your recent calls. When composing a message, the input field starts out at only one line tall, but will grow to up to seven lines if need be. Left of the text box is a button that handles attachments and smileys.To add message recipients, just start typing the corresponding name or number and choose from the contacts offered. When you add multimedia content to the message, it is automatically turned into an MMS. You can either quickly add a smile, a photo or an audio file to go with the text or compose an MMS using all the available features (like multiple slides, slide timing, layout, etc.). The multiple slides are all shown inside the compose box.Batch operations are enabled for multiple threads - Mark as spam and Delete are available.Digging deeper into Settings you'll come across the so-called Flyme Messages. If you turn this on and log in with your Flyme OS account, you'll be able to send free messages (text or multimedia) to other Flyme-enabled devices - just like the iOS iMessages. Moving on to email, we were surprised to find the default Gmail app is missing. You could always download it from the Play Store though (if you live outside China, where the Play Store is not available).Meizu have tweaked the generic email client instead and decided it would be enough for all your email accounts. It supports multiple Exchange, POP or IMAP inboxes and you have access to the original folders that are created online, side by side with the standard local ones such as inbox, drafts and sent items.Switching between accounts is pretty easy. The top row holds two labels - the first is the name of the current folder (tap to change the folder) and the one next to it is the name of the account you're currently using (again, tap to change). There's no combined inbox though. The email app also does a good job. There's support for batch operations - Mark, Filter and Delete are the available options. Filter acts against spam to weed out unwanted email addresses. There's also the option to switch to threaded view in which case an icon appears alongside the name of each thread, giving you the number of messages inside.Google Talk handles the Instant Messaging department. The G-Talk network is compatible with a variety of popular clients like Pidgin, Kopete, iChat and Ovi Contacts.Text entry is handled by a custom keyboard (completely redesigned from the previous Flyme OS iteration) with well-spaced keys. It's quite easy to use and the reasonably big screen helps too. Weirdly, there's no landscape mode anywhere in the messaging department, so you'll rarely get to use the roomier landscape keyboard (it is available in apps that support landscape). When viewing a single image, a tap on the screen will display the available options. You can Share, Crop, Delete, Set Wallpaper, Rotate, Open in Image Editor and view Details.The Meizu MX came with a very good file browser preinstalled. It lets you browse the contents of the built-in memory and offers features such as copy, paste and delete for multiple files. Sharing files over Bluetooth or email is also easy as are batch operations with multiple files and folders. Once you get into the player, things really start to look up. The player handled all the DivX, XviD and H.264 files we threw at it trouble-free (in .AVI, .MKV and .MP4 containers) and resolution didn't matter either - 1080p videos played without a hitch. The audio codecs weren't a problem either.You also get a lot of nice options - a dedicated brightness setting for the video player and lock UI key. You can zoom in and out with pinch gestures. If additional audio streams or subtitles are available you'll get additional icons on the display for more settings. Note that Chinese and English fonts are supported only. Just like the video player, the music player can only findtracks located in a specific folder. You can browse your collection the traditional way or you can select to have it filtered by folders..In the first case tracks are sorted into several playlists like All songs, Recently added, Folders and you have the option to create custom playlists. When viewing All songs you can choose between three types of sorting in a tabbed layout: song name, artist and album. The music controls are at the bottom of the screen, with a small album thumb. If you tap on the album art you'll get to the full-screen Now Playing interface featuring repeat and shuffle buttons, playback controls, a volume slider and a scrubber.The middle section with the full-size album art is side-scrollable: you can swipe to the left or right to display the current playlist or the lyrics karaoke style. You can access the equalizer from the advanced menu.It features several presets, which you can edit manually. Picking an equalizer preset and editing itIf the music player is working you'll get music controls on the lockscreen - there're always available in the task switcher too.The music player also has a play timer, which will turn it off automatically in 5 - 60 minutes. The Meizu MX 4-core went off to an impressive start in our audio quality test. When attached to an active external amplifier, the smartphone did impressively well, with the average intermodulation distortion remaining its only non-perfect score. The MX 4-core also turned out to be pretty loud, unlike its predecessor.Another difference between the two MX generations is the headphones on performance. While last time around we saw a huge drop in performance when we plugged in the set we usually use for testng, this time around the degradation was limited to some extra distortion and stereo crosstalk. It's an ideal performance, but it should be as good as ideal for everyone, but the most demanding audiophiles out there. On the hardware side of things, the Meizu MX 4-core has an 8 megapixel camera module for a maximum image resolution of 3264 x 2448 pixels and an LED flash. On paper this one is pretty much the same as the one we saw on the dual-core MX.The user interface is similar to the stock Android camera app. The three main controls are on the right side of the viewfinder - from top to bottom, they are the still shot/video switch, the virtual shutter key and the gallery shortcut (which shows the thumbnail of the last photo taken). On the left side of the viewfinder are the front/back camera toggle and the flash mode setting. All the icons are orientation-aware and will automatically align to portrait or landscape. Pressing the context menu key gives you a few extra settings -capture mode (normal, panorama, smile or burst shot), scenes, white balance, ISO settings, Wide Dynamic Range, and geo-tagging.Similar to the iPhone, you can use the Meizu's volume rocker to capture a photo. Unfortunately, it is of no use for auto-focus. You can tap and hold the virtual shutter though and the phone will autofocus before taking the shot upon releasing the virtual button - something we hoped for in the previous version of the Flyme OS. Continuous autofocus is available too. A really cool feature of the MX 4-core is called Gesture capture and it allows you to snap a photo by putting your hand the top part of the phone. It works with the built-in proximity sensor and lets you snap a photo without touching the screen and introducing unnecessary camera shake.The images have solid 8MP quality. The MX 4-core does well to keep noise in check and the amount of resolved detail is pleasing. The colors and white balance are good as well. The uneven sharpness of its lens is the main problem of the MX 4-core camera.There's a notable drop in the amount of resolved detail as you go closer to the left border of the shots and while it's not as bad as the original MX had it, this is still pretty annoying. Here's the Meizu MX 4-core in the 8MP category of our Photo Compare Tool. The tool's page will give you enough info on how to use it and what to look for.In the synthetic resolution chart, the Meizu MX 4-core does worse than most of the 8 megapixel shooters, which is surprising given the good performance it demonstrated outside the studio. Once again we'd blame it all on the imperfect lens, which prevent the sensor for fulfilling its potential. The camcorder uses the same interface as the still camera, except the bar to the right side is now transparent and there are black bars on the top and the bottom to fit the 16:9 video. You can control the video light and pick scenes before you start shooting. 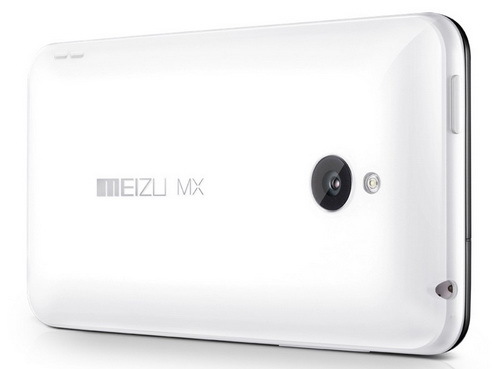 The Meizu MX 4-core captures videos at up to 1080p resolution at 30fps in MP4 files. The bitrate is around 10Mbps, which is a bit low for FullHD videos, with AAC-encoded stereo sound (44.1kHz sampling rate).Video quality on the MX 4-core is a bit better than it was on the original MX and will please most users. There may be better camcorders out there, but the MX 4-core is well above average, producing footage with a decent enough detail, low noise and decent colors.Strangely enough the 720p videos have the same bitrate as the 1080p clips and at times the two have virtually the same amount of resolved detail. It seems that the compression applied to the 1080p footage is a bit too strong, which leads to loss of detail at times.Sadly, the Meizu MX 4-core has the same issue with its 1080p recording as the Apple iPhone 4S and the Samsung I9100 Galaxy S II. This means that the field of view is greatly reduced compared to when you are capturing 720p footage or still shots. Obviously, despite the powerful chipset, the MX 4-core is unable to process the information from the whole sensor so it only uses the middle part for 1080p video capture.Here go the 1080p and 720p video samples so you can see for yourself. Just don't forget to choose 1080p resolution and view them full screen. The Meizu MX 4-core entered our Video Compare Tool database. Its results aren't too bad, but can really come anywhere near the best 1080p footage out there. The Meizu MX 4-core will work anywhere you go - it does quad-band GSM/GPRS/EDGE along with penta-band 3G with blazing fast HDPA+ - the downlink reaches up to 21.6Mbps.Locally, you get Wi-Fi b/g/n with WPS for easy and secure connections to new Wi-Fi routers. The Meizu MX uses Bluetooth 2.1 + EDR, which is getting old but still gets the job done.Unfortunately, just like the dual-core MX, the Meizu MX 4-core has rather poor Wi-Fi reception. It's not a death-grip issue, but if you move away from the router with some moderate obstacles in the way, the signal drops to the bottom threshold. It works most of the time, but it cuts out too. Other phones have little issues working in the same area. 2G/3G reception wasn't an issue.The microUSB port is quite interesting - it supports mass storage connections with a computer as you would expect, but also does USB host for hooking things to the phone, MHL for HD TV-Out and also S/PDIF, which is a digital way to output multi-channel audio and will be used for the dock. The web browser plays a central role in the Meizu MX 4-core as evidenced by its shortcut's position - the middle shortcut in the dock at the bottom of the homescreen, which is usually where the app drawer shortcut goes (or the dialer shortcut).The user interface of the browser has been completely redesigned (compared to vanilla Android) and we found a couple of things we really liked about it. The back end is the same as on all Androids, so you can expect the same level of compatibility and speed you're used to.Anyway, the browser interface dedicates almost the entire screen to the web page, save for the status bar on top. To bring out more controls, you tap the Menu key.The controls include the standard stuff - address bar on top and several buttons at the bottom (new tab, close tab, bookmarks,etc.). Above those controls is a line of thumbnails of all the tabs. You can switch tabs or close them from here. It's one of the best tab management solution we've seen on a mobile browser yet. The browser supports double tap and pinch zooming. It's really fast and fluid too. There are also goodies like text reflow or sharing an URL over email or SMS.The browser came without Flash preinstalled, but we installed it manually from the Play Store and it worked. 1080p YouTube videos played fine without any lag or visual artifacts. We tested the dual-core MX after the update and it did a splendid job with the full HD videos as well. Flash games played without a hitch, too. The Meizu MX 4-core features a calendar that supports multiple online accounts. It offers monthly, weekly, daily and agenda views and is pretty straightforward to work with. Creating a new event lets you set which calendar to store it in, along with a reminder. The Notes app offers four different colors for the background of a note, which will be helpful if you want to organize them into several categories. There's a widget accompanying the Notes app, which displays the most recent notes and offers a quick shortcut for creating new ones. Recorder appA calculator app is also on board. If you look through the homescreens, you won't find a document viewer app but if you try to open an Office document from the file browser, you will be prompted to download the free version of Documents to Go off the Meizu Store. It can create, edit .DOC, .XLS and .PPT (both Office 2003 and 2007 files) and read PDFs.The app works very fast in both zooming and panning. It lacks functionality like searching inside the document though. The Meizu MX 4-core comes with a GPS receiver, which took less than a minute and a half to get satellite lock from a cold start. You can use the A-GPS functionality to get near instantaneous locks or the network positioning if you only need a rough idea of your location.The latest available version of the Maps is 6.9 and offers all the extras you may need, including voice-guided navigation and offline maps caching for supported areas. If you don't live in one of the supported countries the best you can do is plan a route in advance and keep an eye on your current location during travel.Street view is, as usual, a part of the standard package - it gives you a panoramic view of every bit of road in the covered areas. With the compass mode enabled, it feels like a virtual tour of the place. Swiping to the left takes you through Top Paid, Top Free, Top Grossing, Top New Paid, Top New Free and Trending (the ones with growing popularity). New sections are available such as Staff Picks, Editor's Choice and more.Downloads are easy and apps install by themselves once they are complete. Before you agree to download an app, the Market will show you what features the app requires access to (e.g. Internet connectivity, access to the file system, etc.). You can also see if updates are available for your currently installed apps by going to My Apps in the contextual menu.Google Play is not available in China, so Meizu is providing an alternative app store (App Center) with both free and paid apps and games. It's unable to offer the variety of the Android official repository, so it will be of little use to international owners. 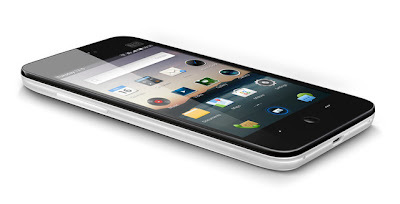 The Meizu MX 4-core is quite a bit of a shocker. Just like the original Meizu MX, this Chinese smartphone has enough twists and turns to keep you guessing, and interested. There we go, that's one. If anyone expected anything of that caliber to come out of China, their money was most likely on Huawei.The Meizu MX 4-core looks and feels exactly the same as its dual-core predecessor, which is to say, not particularly exciting. Essentially, a cheap plasticky iPhone replica is one of the most powerful smartphones in the market. How's that for a nice surprise?It gets better. Flagships as we know them have plenty of history and experience behind them, hundred-strong armies. And it took Meizu what, two Android generations and about as many devices to conjure up a quad-core smartphone.And by the way, the Meizu MX 4-core is not your average droid. The Flyme OS is all about keeping it simple, which means some of the features that rivals have are missing. But the core Android functionality is there and at times Meizu is doing impressively well. The Chinese must've put a lot of effort in making the interface look like they barely did anything to it. Yes, Flyme is one of the big and pleasant surprises of the Meziu MX 4-core. We liked its simplicity and its responsiveness, not to mention the few nice tricks it had up its sleeve.What you're likely to miss is the value-adding apps and features of the other Android quad-cores. 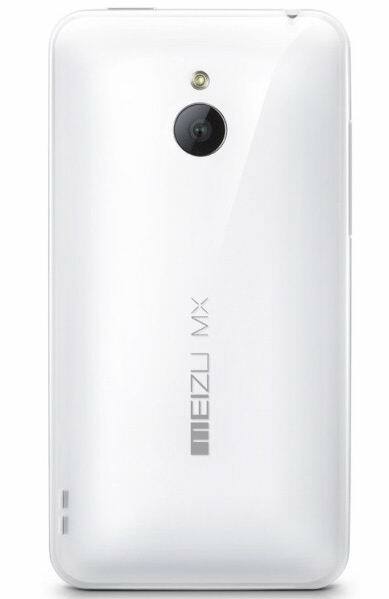 The Meizu MX 4-core struggles somewhat to keep up on the hardware side too. It made it to the Big Four and did so with a bang, but it's still the one with the smallest screen and lowest resolution. Yet, the Meizu MX 4-core is supposed to be the budget option - if there's any such thing as a low-cost quad-core smartphone. The pricing will be make or break and Meizu should really get serious about making its phone globally available. With no streamlined supply, the asking price through random online retailers is ridiculously inflated.The sooner the MX 4-core gets closer to the Chinese price tag of $480 for the 32GB version, the better. This will make the new Meziu flagship a device worth waiting for. 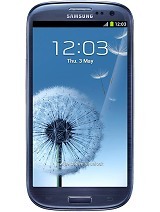 You know, an alternative to waiting for the price of a Galaxy S III or an HTC One X to drop.